The job of an electrician involves the installation, inspection and maintenance of electrical fittings in all kinds of buildings, from homes to offices. This is a very hands-on job, and an important one in a world that depends on electricity for even the simplest things, like light and hot water. As anyone who has had to go for 24 hours without power can tell you, the role of an electrician is most appreciated in these dark hours! Most electricians work in the private sector and are contracted in on certain jobs. These might include the electrical fitting of new home, the wiring of the electrical systems of vehicles, or even in the film industry, where they are known as gaffers. Electricians are often involved in the design of such systems as well as their installation and maintenance. Working so closely with electricity can be dangerous, but with the proper knowledge, precautions and safety equipment this can be a very fulfilling and lucrative career. The standard deviation of salaries for the results of this search is 293,897. 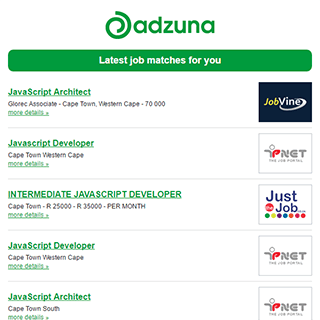 Companies presently offering Electrician job opportunities in South Africa include SABS, Datacentrix, Murray and Roberts..
311 new job listings for this search have been found in the last calendar day, compared with 435 in the last 72 hours and 786 in the last week. Get the latest Electrician Jobs in South Africa delivered straight to your inbox!